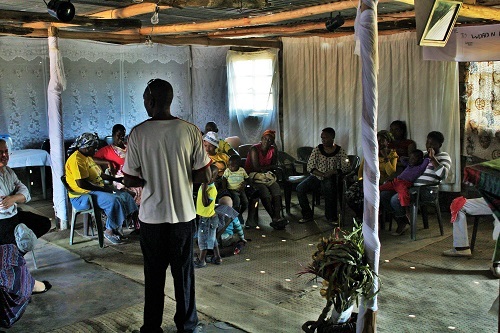 On Friday the 8th of May the 3D-Outreach staff went to visit a small church in Hamaanskraal. 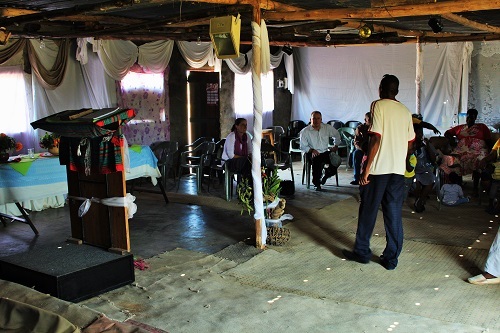 We met Pastor Daniel nearby, and after directing us to the church, which was situated in a rural area, were met there by some members of the congregation. Daniel went on to tell us more about what they as a church believed, about some of the problems in the area that they as a church face, and about the history of the church itself. 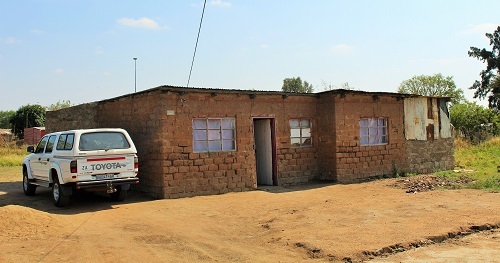 They have come a long way as a church; they were once just a tent in the sand that ran an extension cable to the neighbour’s house for electricity. They have since purchased the property behind them and now meet in a functional church building. As far as they have come, Daniel also made it very clear to us that they were still in great need for prayer, finance and even for training in teaching and doctrine. Daniel and his church also have some great intentions regarding their outreach into the community. They would like to do youth and church rally’s in a local park and invite the community to hear the gospel of Christ. He had also mentioned starting cell groups for the congregation. The church is a Bible preaching, gospel believing church that seems to have a great zeal for the Lord, regardless of their needs. We also saw that although they were poor in their pockets, they were rich in their hearts. The meeting was closed with a heart wrenching song of worship and lots of hugs goodbye.